Jumping ant?.. yes that's right! this one jumps. 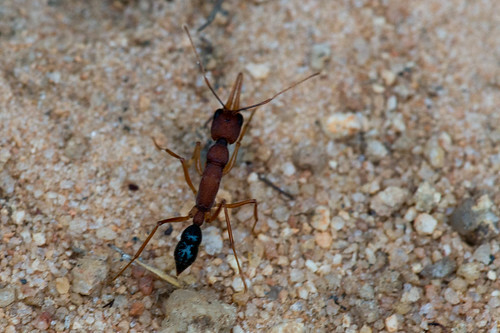 This ant is a treat to watch, not just because it jumps, but for its distinctive long mandibles too. The mandibles are teethed on the insides, giving it its scientific name – Harpegnathos, which means “sickle jaw”. 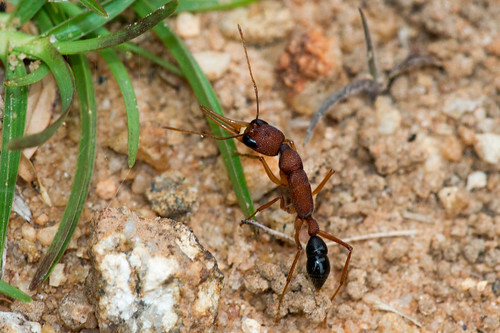 It is also called as the Indian Jumping ant or Jerdon’s jumping ant. 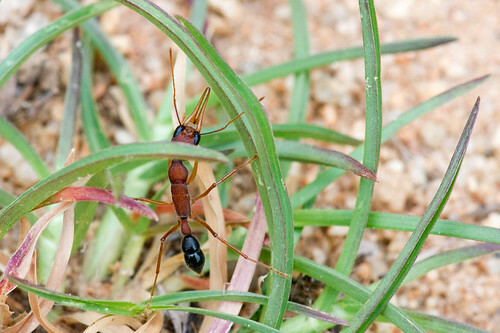 These ants also have unusually large eyes and are equipped with a sting. They are solitary foragers and they display a stalking behaviour to catch their prey, much like cats. The large eyes help in this stalking. The sting is known to paralyze insects, allowing it to be stored for later use. They can jump about 2cm high and 10cm long and the jumping is done either to escape predators or to catch prey. When a prey is stalked, the ants jump with the jaws wide open, grabs it and clamps its jaws shut on the insect, thus killing it with a strangle. Majority of their diet is known to be comprised of flying insects, including butterflies, bees and dragonflies. 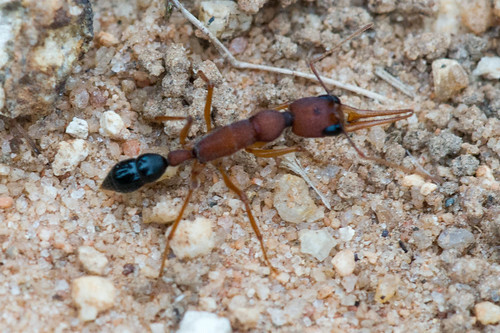 Spiders which try to stalk these ants mostly end up becoming the ants dinner! These ants are quite shy creatures and are quite hard to sight. This particular species (H. saltator) is restricted to South India while H. venator occurs only in the north.